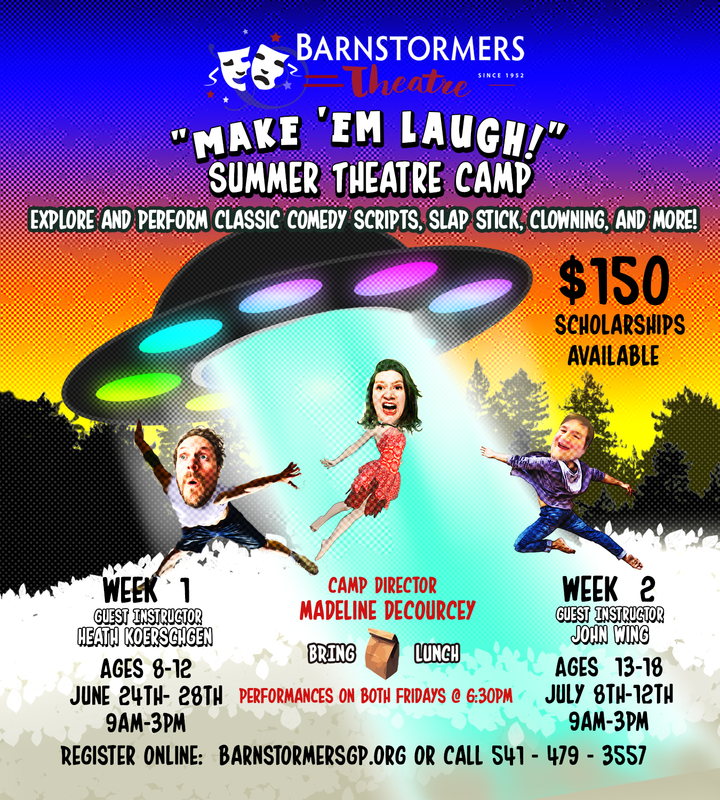 “Make ‘em Laugh!” is the theme of Barnstormers Theatre’s summer camp in 2019. Camp director, Madeline DeCourcey returns with guest instructors, Heath Koerschgen, June 24th - 28th (ages 8-12) and John Wing, July 8th - 12th (ages 13-18.) Final performances on each Friday will showcase campers in classic scenes from comedy greats like Abbot and Costello, I Love Lucy, and Monty Python. They’ll learn about lighting and sound effects as they hone their comedy chops.